Businesses today understand how important it is to be available via the internet. They build websites which customers and potential customers can access 24 hours a day to learn about the products or services they offer. Along with having a website, it is equally important for the website to be mobile-friendly, meaning that the site can be accessed by mobile devices such as smartphones or tablets regardless if they choose to also develop a mobile app. In today’s digital age, it is equally important to have a mobile app because so many people today use digital devices to access the internet more so than by going to a desktop computer.This is why small and medium businesses may want to have both – a responsive, mobile-friendly website and a mobile app – so potential customers can find the information they need no matter what type of device they are using. A mobile-friendly website is one that is optimized for smaller hand-held mobile devices such as tablets or smartphones. It is ‘responsive’ in that it will be visible and look right no matter what type of device is being used. It must be accessed through a browser, but it will look good should the device be a small screen like an older smartphone, a 8” monitor tablet, a tablet with a 10” monitor, or the newest smartphone with larger screens. Since over 70% of Americans use smartphones and over 50% use tablets. 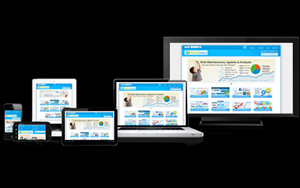 It is a must for every business to build a mobile-friendly and responsive website for a more enhanced user experience. Many companies have a responsive website that renders their goods, services, and information so it is readily available across different devices and platforms. One significant advantage of a mobile website is that it doesn’t require users to download anything in order to access it as long as they have internet access. With a mobile browser, users can go to a company website, access their information, contacts, a list of products and/or services, as well as features like ‘tap to call’ button which makes a phone call without having to type in each number. Business owners realize that creating and maintaining a responsive mobile website is less costly than developing a native app. Google also likes websites which are optimized for mobile devices and puts mobile-friendly websites higher in their search engine rankings. A mobile application, or app, is a software product which must be installed onto a handheld mobile device. Apps are developed and designed for different operating systems. An app may be accessible through iTunes, for Apple products, or through Google Play Store, for Android devices. One of the big advantages about using a mobile app instead of a website is that it offers users a unique experience. 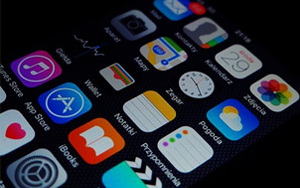 Mobile apps offer a wider range of functionality based on what is custom-built into the operating system making them able to support and integrate with various tools and functions which may not be available on a website. And, many mobile apps can be run without internet access, depending upon what the app is being used for. Does every business need both a mobile-friendly, responsive website and a mobile app? Possibly not, if a company’s goal is to reach a wider audience and provide them with great content, a mobile-friendly website might be all that is needed. However, if they want to keep loyal clients and reach newer audiences, offering them a unique mobile experience which will serve them better, a mobile app might be the better choice. Both choices have pros and cons associated with them. Many businesses only have a mobile-friendly website. Some choose to offer only a mobile app. The most forward thinking companies have both a mobile-friendly, responsive website and a mobile app. In the end, deciding which is best is about choosing the right tools and what is most important for each company.